Unique, believable characters that think, feel, and captivate your audience are ones that involve emotion, personality, and story. Successful animators balance all of these elements within a single character and narrative. With Acting and Performance for Animation, discover how to create dynamic, dramatic performances and believable character interaction for 2D and 3D animation and motion capture. An invaluable resource, Acting and Performance for Animation is a practical guide to the variety of performance techniques relevant to animators. Develop believable character interactions with chapters detailing the principles of performance, performance types, character emotion and personality, physical and psychological performance, and scene composition. Analyze scripts, sound, acting, action and performance with hints, tips, and animated examples featured in an extensive guide for animators working in film, TV, games, and commercials. 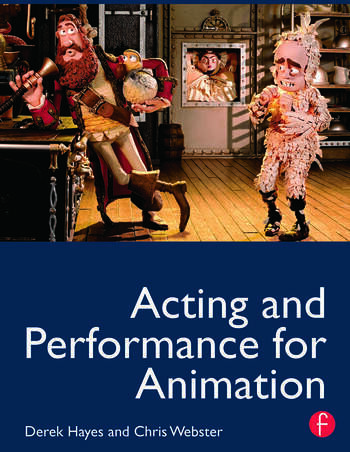 Explore different performance techniques based upon the experiences of seasoned animators and actors with case studies featuring Peter Lord, John Stevenson, Marco Marenghi, Mark Baker, Neville Astley, Joanna Quinn, and more. Derek Hayes is a film director with over thirty years of experience. He has consulted on numerous children TV projects including Cartwn Cymru, "Friends and Heroes," Character Shop and Knight Rider. He has worked with Aardman Studios as a development coordinator. He also is the animation director and co-founder of Animation City, a studio in London. Derek has also directed music videos for Madonna, Rod Stewart, Elton John and Tom Jones. He won the Epiphany prize for his work on The Miracle Maker and the Grand Prix award for his work on Prince Cinders. Derek is currently the president of Jury for the Animation and TV at the Cairo International Film Festival and is on the BAFTA Animation jury.